Historical charm meets modern comfort in this incredible home. 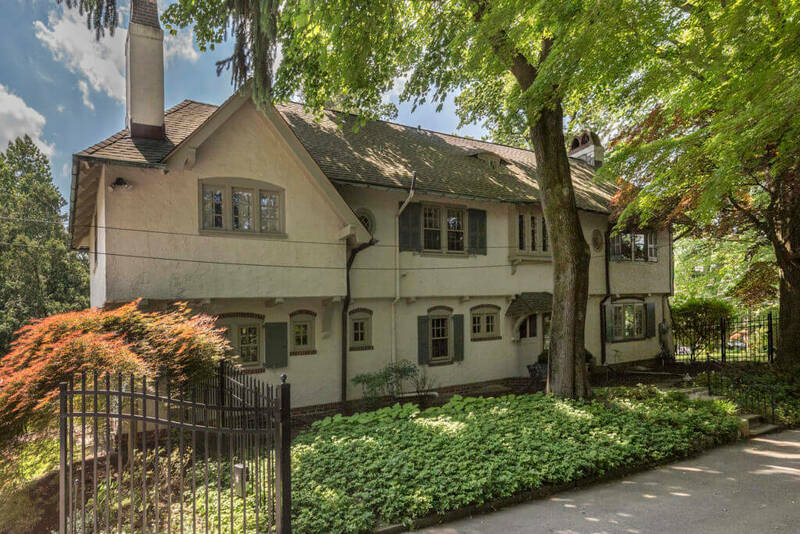 Named “Tawno Ker,” or “Dear Little Home,” by noted Philadelphia architect and University of Pennsylvania alumnus, Horace W. Sellers, 617 New Gulph Rd. is steeped in rich, Pennsylvania history and retains its original charms with updated, modern amenities. Noted in a 1915 publication, The Craftsman, Tawno Ker was built on Old Gulph Road, a thoroughfare built by William Penn for the Welsh Quakers to reach Mill Creek Valley with ease. Also, notably, General George Washington used Old Gulph Road to navigate his troops to Valley Forge (Penn Valley Civic Association). 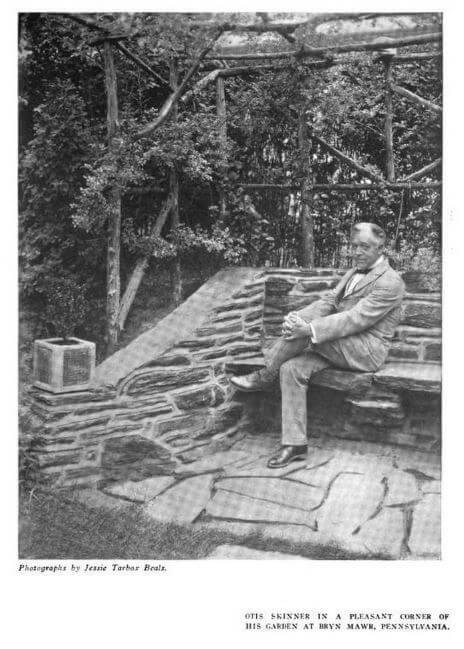 Seen to the left is a photo of actor Otis Skinner, sitting on the built-in stone bench that you can still enjoy in the garden today. Famed American stage actor, Otis Skinner, and his family called this beauty home in the 1900s. Mr. Skinner and his wife, Maud Durbin, raised their daughter Cornelia Otis Skinner in Bryn Mawr, where she thrived in the arts. A Bryn Mawr College alumna, Cornelia Skinner also pursued the world of show business where she forged paths for women in theater and the arts, appearing with co-stars like fellow Bryn Mawr alumna Katharine Hepburn, Fred Astaire, Helen Hayes, and more (Main Line Times). Original details still remain today in this Main Line treasure built by architect, Horace W. Sellers. Original photo (left) from “The Craftsman,” Vol. 28, 1915. The sophisticated details of this historic home’s craftsmanship still remain—including but not limited to the original Colonial-style fireplaces with intricate brickwork, the arched alcove in the dining room, the sheltered corner of the porch and garden including the stone bench, where actor and former owner, Otis Skinner, is seen enjoying the property’s peaceful garden. The home is also outfitted with charming heart-shaped door locks, a hallmark of the Arts & Crafts style. Full of personality, this home is a private oasis in busy suburbia. 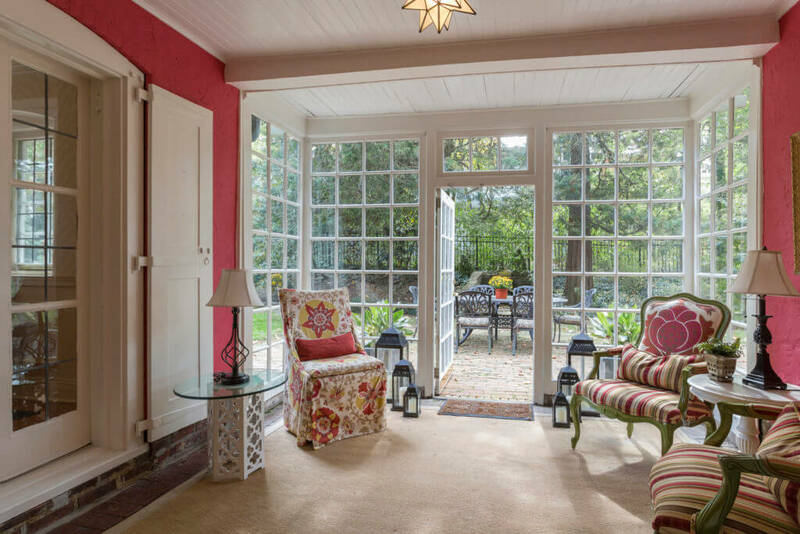 Plentiful windows provide well-lit spaces with ample space to relax both inside and outside in the home’s lush gardens and patio. With an array of modern updates and carriage house with a guest apartment to host friends and family, the home is both cozy and inviting. 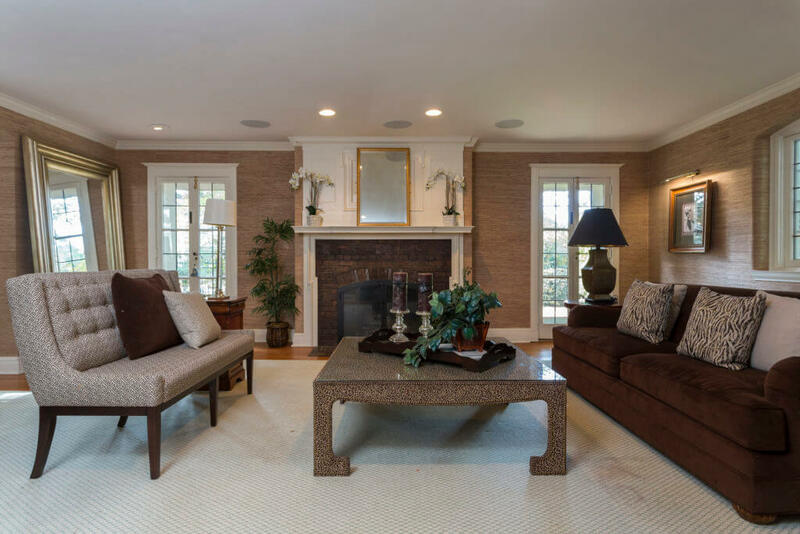 Located within walking distance of town, Tawno Ker is a historic gem primely placed in beautiful Bryn Mawr. It is close to the regional rail station for commuting professionals, schools, local restaurants, movie theater, and more. Newly reduced at $1,035,000! Please reach out to the listing agent, Ali Ogelsby Farrell at 610-246-5970 or via email, for any questions regarding this incredible historic, updated home.